If you’re just new to the world of electronic cigarettes and are barely finding your way around, here is a bit of information about disposable e-cigs and why they may work for you. 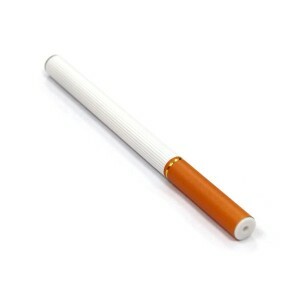 Ecigs offer you the opportunity to enjoy a smoke without the ill effects of conventional smoking. And out of the many types of these cigs, the disposables are perhaps one of the best choices for beginners since they offer them a taste of what ecigarettes are like without forcing the person interested into buying expensive kits. What is a disposable electronic cigarettes? Disposable electronic cigarettes are perhaps one of the most popular e-cigs on the market, and almost every manufacturer of electronic cigarettes has the disposable format as well. These disposable cigarettes are also the simplest types, since they have no extra buttons, rechargeable batters and removable cartridges. Disposable electronic cigarettes are a good choice for beginners since they are cheap, and they can be tried without extra expense on behalf of the person just new to the electronic cigarettes world. A disposable electronic cigarette will usually be the equivalent of one or two regular packs of cigarettes, which means that it will last for two or three regular days of smoking. But since they are very cheap, they represent a convenient and economical way to test out electronic cigarettes without having to invest a lot of money before you figure out if you enjoy this type of smoking. One of the main advantages of disposable electronic cigarettes is that most major brands produce these, so you’ll have a large selection to choose from. Another good thing about disposable electronic cigarettes is the fact that they also come in a variety of flavors and formats, so you’re bound to find one you enjoy. These disposable e-cigs can also be found in almost any store, gas station or convenience stores. That means that when you run out of cigarettes, the nearest store will probably have some for you. Although once a disposable cigarette runs out, you have to throw it away, the investement in a new one will not leave your wallet empty, as you could find these starting from 5 dollars. You also don’t need to worry about refilling or recharging, just get rid of your old cig and get a new one from your local store. Is a disposable Ecig right for you? If you are just starting out with electronic cigarettes, a disposable will probably be your best bet. With low upfront costs, you can afford to buy a few types and flavors and determine if these kinds of cigarettes suit your taste and style. If you enjoy it, you can move to more advanced electronic cigarettes, but at first, disposables are the most economical way to try e-cigs out. If you aren’t a chain smoker, they are a great choice, and you might also get a feel for a certain company’s products without going head-on for the most expensive kits.